Jorge Otero-Pailos is a New York-based artist best known for making monumental casts of historically charged buildings. Drawing from his formal training in architecture and preservation, Otero-Pailos’ art practice deals with memory, culture, and transitions, and invites the viewer to consider buildings as powerful agents of change. 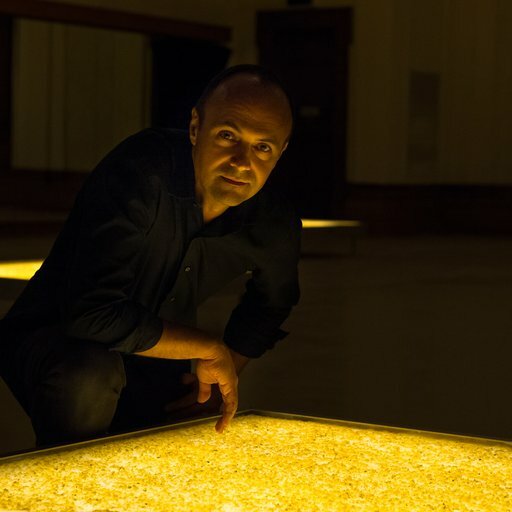 His site-specific series, The Ethics of Dust, is an ongoing, decade-long investigation resulting from cleaning dust and the residue of pollution from monuments such as the Doge’s Palace in Venice; Westminster Hall in the Houses of Parliament, London; the U.S. Old Mint in San Francisco; and Trajan’s Column at the Victoria & Albert Museum, London. Otero-Pailos also explores re-enactment as an artistic practice, by recreating historical odors (Philip Johnson Glass House, New Canaan, CT), performing past events (Harold Egerton Bullet through Apple experiment ; M.I.T. Museum, Cambridge), or by capturing the intangible transfer of dance knowledge by modern dance master Merce Cunningham, using light, sound, and space (Répétiteur, City Center for Performing Arts, New York). 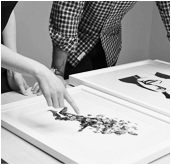 Otero-Pailos’ works are to be found in the collections of SFMoMA, The British Museum, and Thyssen-Bornemisza Art Contemporary in Vienna. He participated in the 53rd Venice Art Biennial (2009), and the Chicago Architecture Biennial (2017), among others. He is Director and Professor of Historic Preservation at the Columbia University Graduate School of Architecture in New York. He is the founder of the journal Future Anterior, co-editor of Experimental Preservation (2016), author of Architecture’s Historical Turn (2010) and contributor to scholarly journals and books including the Oxford Encyclopedia of Aesthetics, and Rem Koolhaas’ Preservation Is Overtaking Us (2014). Otero-Pailos is a member of the Academy of Arts and Sciences of Puerto Rico, the Academy of Science and Culture of Ibero-America, and has received awards from major art, architecture and preservation organizations including the UNESCO, the American Institute of Architects, the Kress Foundation, the Graham Foundation, the Fitch Foundation, and the Canadian Center for Architecture. Jorge Otero-Pailos studied architecture at Cornell University and earned a doctorate in architecture at MIT. He is a founding faculty member of the School of Architecture at the Polytechnic University of Puerto Rico.